Iceland is really popular among hikers, as it gives a great opportunity to walk down the trail, while enjoying breathtaking views and sleep in almost surreal locations. You can read more about the most popular hiking places in Iceland here. However, for people, who might never hiked before, or are worrying about difficult weather conditions, it would be a better option to go on a group hiking tour. A famous Laugavegur Trek is a five-day group trek between Landmannalaugar and Þórsmörk nature reserves, which is also vehicle assisted. The group size varies between 6 and 16 people and the level of difficulty depends largely on the weather conditions. The trail is 55 kilometres long and is one of the most popular and well known treks in the country. Daily the group will walk approximately 4-7 hours and will stay overnight in huts. 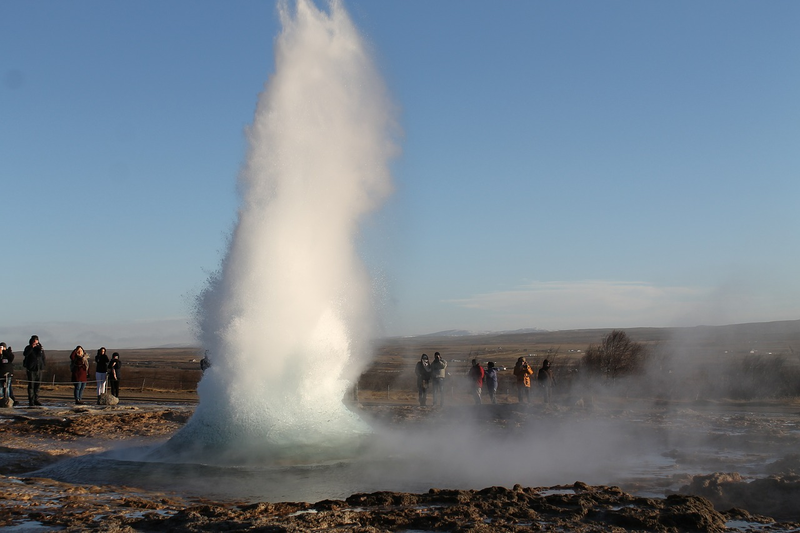 On your way, you will enjoy geothermal valley and the southern highlands in Landmannalaugar, as well as volcano Eyjafjallajökull, which became famous after its eruption in 2010 caused chaos among commercial flight in North Europe. The trail includes such picturesque features as turbulent hot springs, colourful mountains, rapid rivers and serene lakes, spectacular waterfalls and majestic glaciers. So be prepared to take loads of photos on your way! The price for Laugavegur Trek is 194,900 ISK (€1,384) till Þórsmörk and 239.900 ISK (€1,704) till Skógar per person. The fee includes the mountain guide, transportation to and from Reykjavik, transfer of the luggage, living in huts during the trek and food for five days. It is essential to be well prepared to the journey and make sure you bring all necessary stuff with you. Among main requirements are hiking boots, thermal underwear and a long sleeve shirt, light wool sweater, trousers of strong and light materials, rain jacket, gloves and others. The full list can be found here. You don’t need to worry about the sleeping bag, as any basic bag will be sufficient due to the fact that all huts are heated. In case you don’t have your own sleeping bag, you can rent one for 7,500 ISK (€53). During the journey, you will have several opportunities to charge your batteries, it would be possible in Alftavatn (day 2), Ermstrur (day 3) and Þórsmörk (days 4 and 5). Each battery charge will cost 500 ISK (€3.55). We are sure, you will enjoy the trip in one of the most beautiful hiking trails in Iceland!